Every morning, we wake up and get ready to do some things. Often those things revolve around our job, our business or our hobbies. Day after day, week after week, year after year, we do them. Sometimes it is necessity. Sometimes it is passion. Even curiosity, compulsion or coercion. Some define it narrowly as being like a goal or target, a point to aim for and reach in whatever you do. A purpose is indeed like that, in one sense – yet different. It is more. It has wider implications. It has higher meaning. It has greater impact. From a broader perspective, it is the axle around which the wheel of your life revolves – and without which it will spin out of control and meander aimlessly away into a meaningless void. Because “purpose” is your essential “reason why”. It is your motivating force, your invigorating energy, your inner fuel that fires your engines. Purpose is what drives you to do what you already do – and want to keep doing. And that’s a good reason for every entrepreneur to introspect from time to time upon what their purpose is. It isn’t always glaringly obvious, but shows up when you take the effort to look for it and give it a clearer shape and form. How exactly is ‘purpose’ different from other things that are similar – like ‘goals’ and ‘targets’? There are at least four ways your purpose is unique. Let’s take an example many are familiar with – making money. It’s one of the reasons we became entrepreneurs, if not the only (or most important) one. Perhaps you set out with a goal to reach. Was it a million dollars? Or ten? Or a more modest figure that meets all your income needs? Whatever that number was, that was your goal. Your purpose, however, is the reason why you chose that figure. It could be that you felt it will leave you financially independent or debt free. 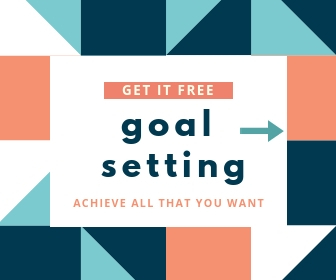 You may have set that target because you wanted to earn enough to meet all your household needs, or to finance the dreams you had for your children and loved ones. Maybe you calculated what it costs to buy a house, afford college, take an annual vacation, travel around the world…whatever. That deeper ‘why’ is your purpose. No matter how high, impossible and unreachable your goals and targets seem today, sooner or later you’ll reach them. Now let’s say everything went well with your endeavour and your business grew by leaps and bounds to hit that goal in just 5 years. Great news, right? So what do you do next? Do you retire or sell off your business, and holiday the rest of your life? Sure, some people do that. But many continue – because by then, their purpose has evolved. What started out as merely bringing in enough income to meet your family’s basic needs now grows into wanting to provide them with small luxuries, to save up enough for future security, to extend their advantages and comforts in multiple other ways. Your purpose is essentially the same – to provide for yourself and your family. But it has also evolved to do it better, on a larger scale, in many new ways. When I first started writing, it was more as an escape from becoming a mono-maniac, obsessed with only one facet of my life (as many medical doctors are). I wanted to do something outside of my professional work. When I realized that I was good at it, that purpose expanded to an idea of writing for money – and using that money to fund a dream project, and help children with congenital heart defects who could not afford treatment. My purpose expanded, and my writing now took on interesting new directions and form. Years later, I had another ‘Aha’ moment while reading a book by Seth Godin called ‘Linchpin’, when I saw how my writing, and the purpose-driven information business that grew up around it was itself serving to inspire many more people to do something like it with their business and skills! It is this extension of the purpose of my writing that led me to publish this blog – because it gives me a chance to share this with a large audience. A final distinction between a ‘goal’ or a ‘target’ and your deeper ‘purpose’ is that the latter will last longer. Once you’ve reached it, a goal or target becomes moot. No matter how high you set the bar, you will jump over it at some point in your future. I was reading a fascinating article about Google co-founder Larry Page in FAST COMPANY magazine. Now, by any financial yardstick, we can agree that Page has no monetary reasons to continue to want to work, right? Well, he’s still as passionate as ever for things he wants to accomplish through Google. And many of them have little or nothing to do with ‘search engines’, or even making more money. My point is that sometimes it takes money to make meaning. But recognizing and being constantly aware of that meaning is important – and in my opinion, even vital – for the success and growth of any enterprise, even profit-centric business ventures. That’s why I advise my mentorees to always tap into two powerful forces – passion and purpose – in everything they do or plan in their online business. These two have provided me with a competitive edge that has sustained my Internet based efforts for 20 years, in a niche where the average attrition rate over three years is 97% or higher. Passion is powerful. Purpose is enduring. Together, they can help you move mountains. Or build another Google. And make meaning while you do.